We get to choose how we love. It is an action we take. It is a leap we make. It is a walk in faith. But it is not a gift, a favor nor an obligation. We don’t do it for the other person; we do it because we can’t not love. 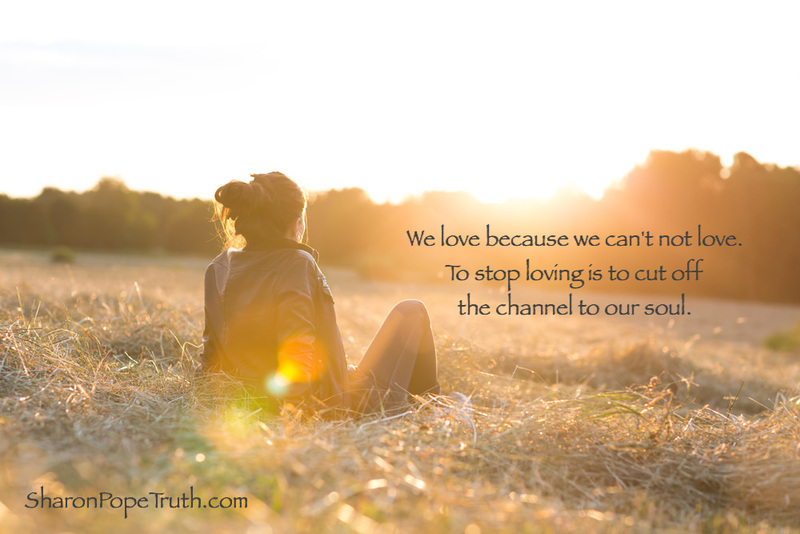 To stop loving is to cut off the channel to our soul. Love, at its very best, is for us. Love in its most pure form is simply demonstrated through us. At our core, love is all we are. And it’s all we’re here to do. Not to receive it; but to do it. To be the one who loves. To be the vessel through which it flows. When we realize that we are simply the one who loves, we can stop searching, seeking and grasping for love to be focused at us. Whether or not the one whom we love chooses to love us back takes on far less significance. But here’s the truth: Once we choose to become love, we will never have a shortage of it in our lives.